Hello, my name is Tonya Till. 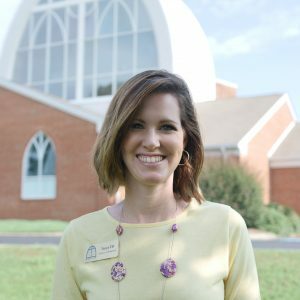 I have been the Preschool Director at Tyner UMC Preschool since June 2017. I am married to my high school sweetheart and husband of thirteen years, Joel. We have three children, Noah (9), Rory (7), and Graham (2). We moved to Chattanooga last year from Butler County, Alabama. I have a Bachelor’s degree in Childhood Education from Auburn University Montgomery and hold a certificate in Early Childhood Education and Elementary Education in Tennessee and Alabama. I taught 4th grade, Pre-K4, and 2nd-6th grade intervention before coming to Tyner UMC Preschool as Director. I have been enjoying working with the children, families, and staff at TUMC. I am in the office on Tuesdays and Thursdays from 9 to 2. You can reach me at director@tynerumcpreschool.com or by calling 423-855-KIDS. Please like our Facebook page to stay connected with us and see pictures and updates!